Sandy is at PFAFF Convention all week! Come by and see Laura, Sara, the Decorations and all our New Stuff!! Sandy's Mystery Quilt is coming along Great! October 20th we will be doing a 'Witchy Welcome' Sign! NEW Fabric, Notions, and Machine Embroidery Designs. Too many to list. Come by and check them out! Shop local artist! Several of our talented customers are going to be set up to sell. 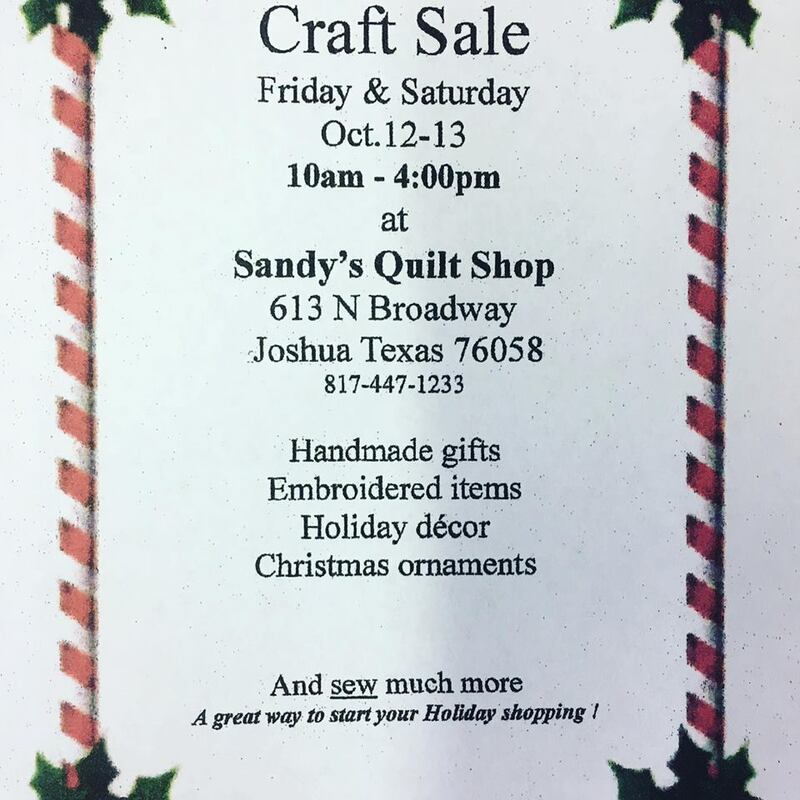 They will have homemade gifts, embroidered items, holiday decor, Christmas ornaments, and more. Purchase the creative icon™ and receive a FREE anniversary gift. Plus get up to 72 months of 0% financing. 10/1‐10/8/18: $50 Rebate– IN STORES ONLY On GO! AccuQuilt is excited to offer their first “In Store Only” offer to consumers.